We have a lot of projects underway with construction progress to report. 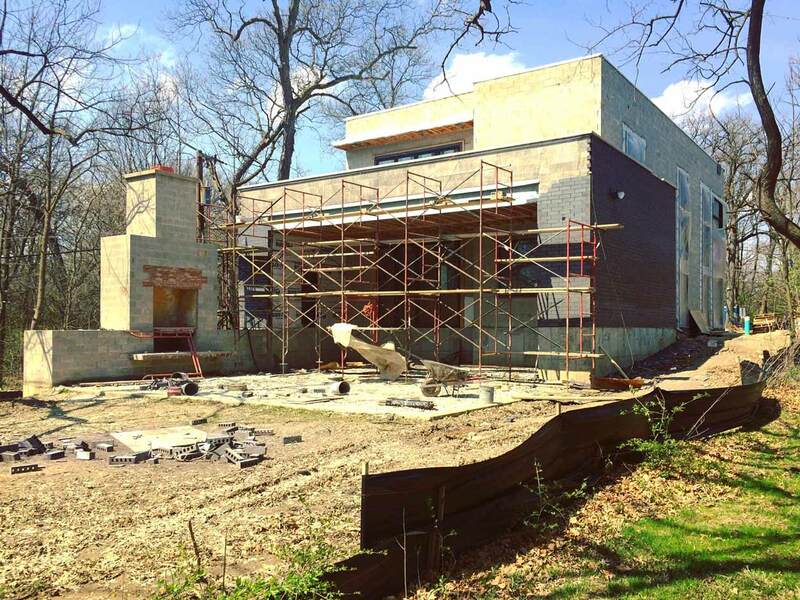 This project, New Modern House 3 located in Chicago, is coming along slowly but surely. Original cement board siding has been substituted with brick masonry which is currently in-progress. The original color palette remains intact and the dark colored brick was a nice choice. Please check back for new updates as we try to keep up with all the new project news!